There's a feisty little filly that needs taming. And I'm just the man for the job. My name's Clint McRae. I took this job without realizing how hard it would be. Hard to train a know-it-all trick rider like Pheonyx Delancey, Hard to get her all the way to the National Championships. Hard to keep my hands off her. She's got talent coming out her ears but she's reckless and wild in the saddle. I can't tell if I want to kiss her or spank her. By the time the season is over, I'm sure I'll be doing a fair bit of both. I'm older and more experienced so I should know better. But she's the one who's got me hogtied. Meet the newest Delancey! 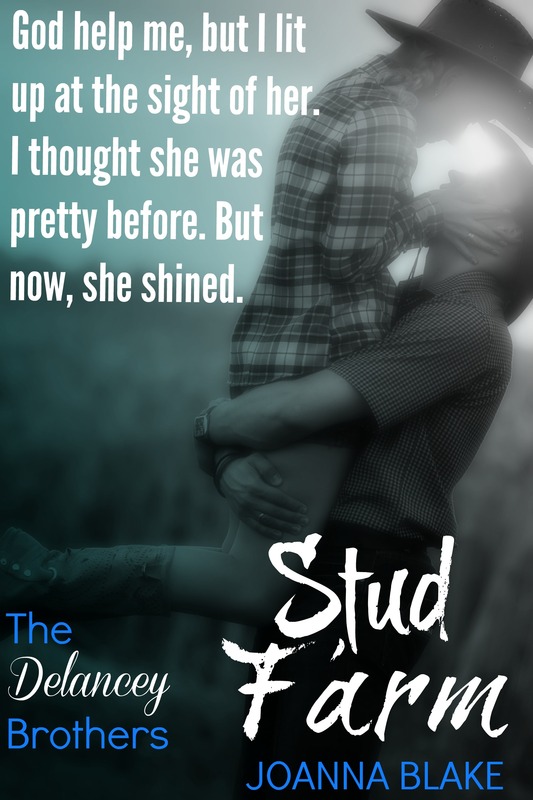 Stud Farm includes the ALL NEW novella Pheonyx Rising, Ride With Me, Bound To Me and the rewritten Branded as well as an ALL NEW Very Delancey Chrismas! *Please note, these stories are not available anywhere else!